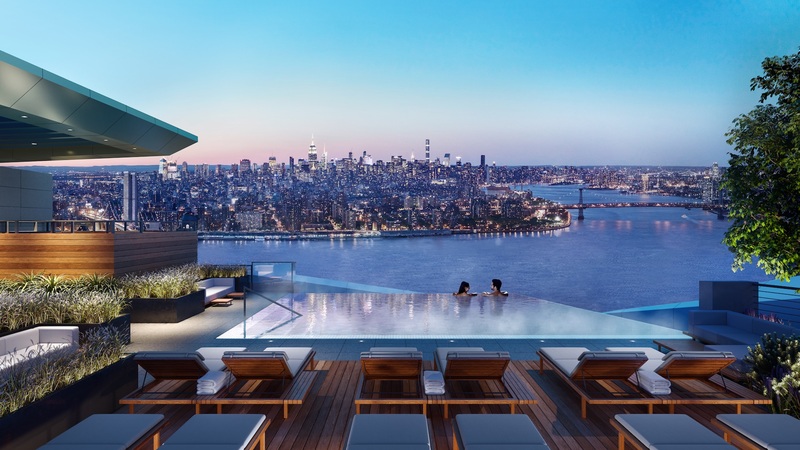 Perhaps the most impressive part of Brooklyn Point is its unbelievable views. 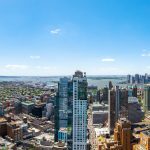 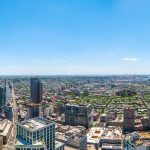 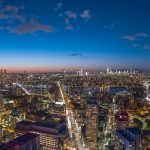 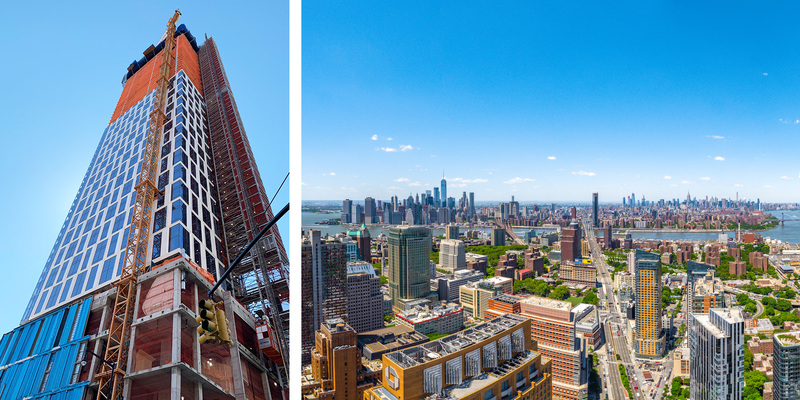 Though the tower may not look strikingly tall from the street, its central Brooklyn location affords it unobstructed, panoramic views all the way past the Verrazano Bridge, to Hudson Yards, and beyond. 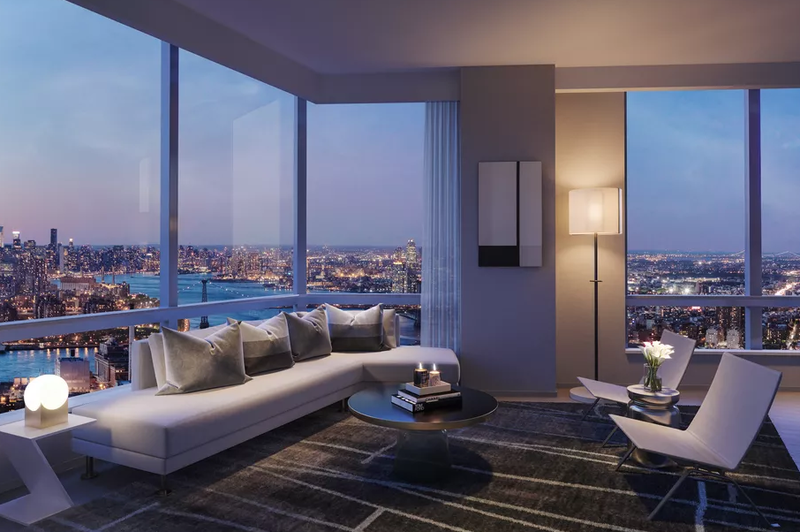 The interiors were designed by Katherine Newman and offer a modern take on American design of the 1950s—a “refined mid-century aesthetic” combined with a contemporary “Brooklyn industrial chic” feel. 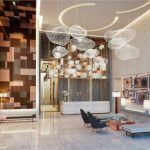 The building’s lobby features a ceramic wall art installation inspired by Pop Art icon Roy Lichtenstein and a dramatic suspended light structure above the front desk influenced by Harry Bertoia’s sculptures. 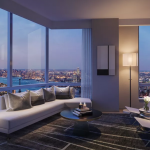 Residents are able to choose between a light palette and a dark palette for interior furnishings, including custom kitchen cabinetry and oak wood flooring. 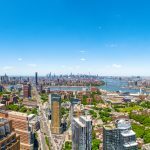 All of the units boast oversized windows with views of the Brooklyn and Manhattan skylines and waterways. 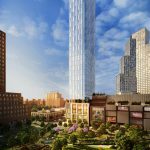 Residents will be able to enjoy 40,000 square feet of indoor and outdoor amenities, including a garden room, wine room, game lounge, children’s playroom, bike storage and the tallest rooftop pool in the city, complete with a full lounge area, a stargazing observatory, and space for outdoor movie screenings. 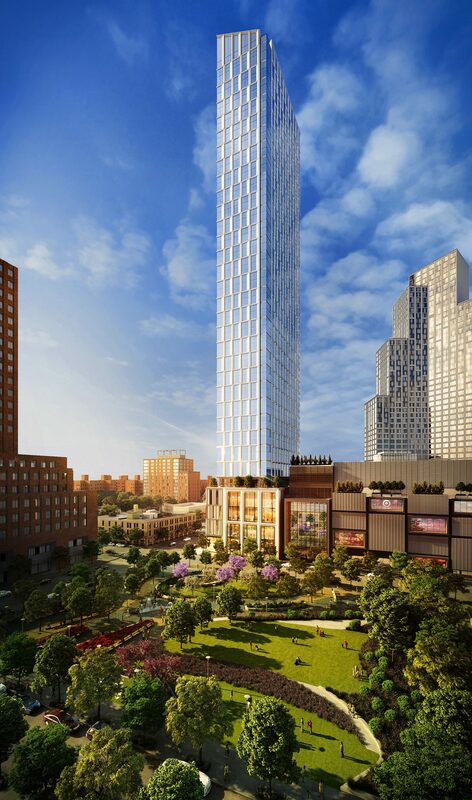 Being just steps away from City Point, residents will also have easy access to the retail and dining offerings there, including DeKalb Market Hall, Trader Joe’s, Target, and the Alamo Drafthouse Cinema. 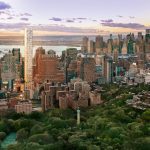 Closings at Brooklyn Point are expected to commence in early 2020, which will benefit from a 25-year tax abatement.